The world has undergone a huge improvement from past 100 centuries and on the same scale so have the problems. We are growing rapidly in all fields of technology to make this world a smaller world. Yet we have serious problems from poverty to environmental issues to inequalities. Yet all of us want to bring about a positive change in our small world. 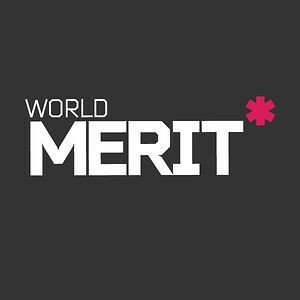 World Merit is a platform working on using this small world as an advantage towards finding solutions for all problems. It acts as a medium to collaborate determined young people from across the globe who want to bring the change. Their main vision is to bring out a global team that tirelessly works for each other with understanding and energy. This will help each member to reach his/her milestones and ultimately reach the real potential. . It also provides access to peer networking, training, mentorship, business capital and other needed resources through which ideas can be brought into action. I have been a part of this energetic community from past 2 months and am speaking and bringing out ideas to change the world at this age of 21. This platform gave me freedom to share my views and ideas with people in the community. Apart from sharing, I've learnt a lot on how to implement my ideas by observing people who are doing outstanding work with the aim of building a better society. The best part is that it focuses on helping young leaders like us with the will power to make a difference by taking our ideas to the next level of implementation in the real world. If you have the drive to walk an extra mile in making a difference then this is the best place to share your achievements and it will open you to a world of opportunities where you can make your dreams come true. You can be a part of this fabulous community by signing up here: www.worldmerit.org with the Referral id: 17235. Start Connecting. Get Motivated. Start Sharing.